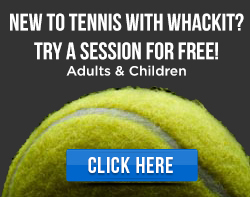 Whack It Tennis offers a wide range of tennis coaching and playing opportunities for all ages and standards. Our aim is to make tennis a fun and enjoyable experience for everyone, whilst guiding you towards being the best that you can be in a supportive and nurturing environment. This function has been disabled for Whack It Tennis.